Should Small Businesses Care About Web 2.0 Marketing Tools? 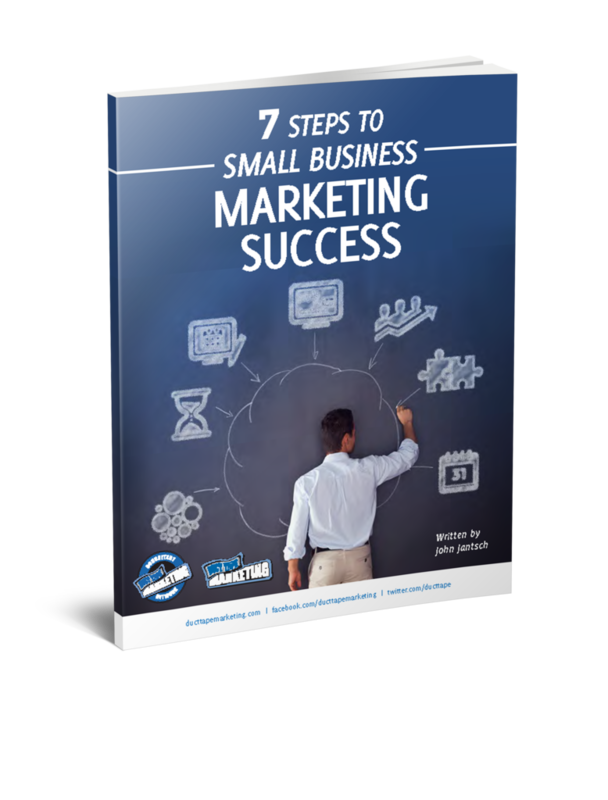 I spend a great deal of time on this blog uncovering and reporting on new small business marketing tools. One of the hottest trends going is something called Web 2.0. IÃ¢â‚¬â„¢m not really sure there is a good definition of what that term means, nor do I think it matters that much. The fact of the matter is that there are some very good new advertising vehicles and tools that are evolving and changing both the advertising status quo and range of marketing opportunities available to even the smallest of businesses. I recently had a discussion of this very topic with HP blogger Eric Kintz, VP of Global Marketing Strategy and Excellence for Hewlett-Packard and one of their thought leaders in the web 2.0 space. Eric and I started discussing this reluctance, decided to look at some Web 2.0 offerings through the eyes of a small business and explore some ways that real life small business are actually taking advantage of some new tools. Below are five emerging trends that we think every small business should be aware of. Trend #1: Establish a blog as your primary web presence. Customers value who they do business with sometimes as much as what they buy. Blogging provides you with a more personal environment where you can both promote your product and present a more personal view of your business. Blogging also allows you to initiate an on-going conversation with your customers and build a long term relationship. Blogging is especially important in professional services small businesses where the person is the product and where word of mouth and recommendations are the primary sales driver. Horsefeathers, a restaurant in North Conway, N. H., publishes a blog about food, wine, local events and restaurant news as a way to keep customers connected and loyal. Cornerstone Wealth Advisors in Overland Park, KS created a blog about investing and other financial matters and use it as the jumping off point for several practice groups. Patti Thompson is the president of Way-Fil Jewelry, Inc. located in Tupelo, MS. She serves as the appraiser, designer and one of two bench jewelers. She writes a combination of personal stories, stories about her store and appraisal posts (Ã¢â‚¬Å“What is gold sodium thiomalate?Ã¢â‚¬Â). She also links her blog to her EBay store. Trend #2: Take advantage of emerging hyper local blogs. With the number of blogs exploding (a blog is created every second!) and readership skyrocketing, the blogosphere is reaching a sufficient scale to address hyper local content. A similar phenomenon happened in the internet space when readership and websites reached a tipping point to be able to offer relevant content for very small customer segments such as a city and provide local search. This new trend in blogging makes local advertising for small businesses relevant, for example restaurants, hotels, real estate brokers or accountants. Blogging Ohio, which is part of Weblogs (http://www.weblogsinc.com/ ), is a great example of this trend with posts that focus on specific towns in Ohio. Lake County, OH has also started a local community blog and local sponsored links such as local restaurants, hotels or country clubs. Trend #3: Use web 2.0 marketing to market to bloggers. Bloggers have become a growing and influential customer segment with strong economic power. As this customer segment reaches critical mass, some small businesses have understood the opportunity to target them and build marketing approaches that appeal to their specific tastes and preferences. Bloggersfuel is a great example of this focused marketing. Bruce Frcek has developed this blog to keep bloggers up to date on what is happening in the specialty coffee industry and with its online store Boca Java (www.bocajava.com) and to hear directly from bloggers on ideas about blogging and coffee. Daily Greencine publishes a blog around independent and alternative cinema that gets 80 000 visitors each month and helps drive traffic to online rental and video on demand store GreenCine (www.greencine.com). The blog helped double the storeÃ¢â‚¬â„¢s revenues. Trend #4: Leverage emerging web 2.0 advertising platforms. Web 2.0 start ups are positioning themselves as aggregators of advertising and provide new platforms to promote small businesses. AdCandy allows consumers to develop advertising slogans and suggest product improvements for their favorite brands. ProÃ¢â‚¬â„¢techÃ¢â‚¬â„¢d, a small company making iPod covers uses AdCandy to run a contest letting visitors create their ad campaign and slogan, thus helping raise awareness for its brand in its target customer segment. Zixxo allows small businesses to create and manage their own online coupons and syndicate them out to local consumers through partner websites and RSS feeds. Trend #5: explore emerging audio and video marketing (podcasting and vloging). The recent massive growth in these new formats triggered especially by the Apple IPOD will develop new advertising media that can be particularly appropriate for specific small businesses. Chaz, a yoga instructor, has a yoga studio in Louisville, KY and has been using podcasting on itunes for a series of instructional videos that promote his yoga techniques and his studio. Dave Seitter, a construction attorney located in Kansas City, Mo has created a monthly expert teleseminar and converted it to a podcast.